본 숙소(켈카타니 호텔)는 푸노 관광 혹은 비즈니스 출장에도 훌륭한 선택입니다. 도심에서 단 0.1 km 거리에 있는 본 숙소는 투숙객이 빠르고 쉽게 지역의 많은 명소들을 즐길 수 있는 위치적 이점이 있습니다. 본 숙소는 카사 델 코르기도르, 무세오 카를로스 드레이어, 코카 박물관 등과 같은 도시의 많은 명소로부터 매우 가까운 거리에 있어 편안한 휴식을 취할 수 있는 장소가 됩니다. 본 숙소(켈카타니 호텔)의 시설과 서비스는 투숙객에게 즐거운 숙박 경험을 선사합니다. 본 숙소는 최상의 편안함을 위해 24시간 룸서비스, Wi-Fi (무료/전 객실), Wi-Fi (공공 장소), 발렛 파킹, 주차장 등을 제공합니다. 본 숙소에는 멋스럽게 꾸며진 총 42개의 객실이 있으며, 대부분의 객실에 무선 인터넷(무료), 월풀욕조, 금연 객실, 난방, 책상 등이 구비되어 있습니다. 도시의 바쁜 일상 속 긴장을 풀 수 있게 도움을 주는 마사지 등과 같은 환상적인 시설/활동을 이용할 수 있습니다. 켈카타니 호텔의 전문적인 서비스와 다양한 특색의 매력적인 조합을 발견해 보세요. Travelers have been writing about it before, yet they did nothing about it. Bad experience there. I recommend you avoid this place. It was a good stay but the wifi was really bad. The staff was very helpful but not much they could do to improve wifi, of course. The hotel is centrally located. Everything is within easy reach. The airlines that took us from the USA to Lima lost our luggage and requested us to fill in a long online form in Spanish to arrange delivery of our luggiage to Puno. However we do not know Spanish at all. The lady at the front desk was so nice and spent a lot of time with much patience in helping us translate the form. Food provided in this hotel was also very good. I highly recommend this hotel. Wifi is very poor. Despite stating that room has wifi, it did not work in the room. Even when I go to the lobby, it did not work sometimes. Hotel is good to stay for few nights. Nice room, helpful staff and breakfast is quite good also. Well located just a short walk from the main street with all the shops and restaurants. The room was also a good size and the heater worked great. Only one internal window in the room. Well worth staying, great value. a bit overpriced but generally okay. close to the center of the city. Although it is in a small street, it is safe to walk there. room was nice with comfy beds, but a bit small in size. Breakfast was a good buffet. Good location and decent price, not much else going for it. Bit of a Fawlty Towers hotel decorated in an odd, eclectic style. The staff were ok, neither rude nor particularly welcoming. The room was impressively large and reasonably comfortable, although not exactly luxurious. The primary problem is the noise, although the nearby clubs don't really disturb the taxis serving that place would often hoot their horns all night which isn't great if you are a light sleeper. The Wifi was also pretty bad. Clean and well situated with wih friendly sfaff. qelqatani hotel was really good value and an extremely comfortable place to stay. staff were very friendly and helpful and went out of their way to assist. we only stayed one night on our way to cuzco but would certainly have stayed longer if we had the time. special touch was the heater in the bathroom and the great hot showers which were appreciated after our stay on the sun island without hot water! our room was located in a very quiet part of the hotel. breakfast included a number of options and was one of the better ones offered in out travels. Room and facilities of the hotel are good. WIFI in our room was either not connecting or a slow weak signal. We stayed on a Saturday night and could hear the music from a nearby nightclub. We had ear plugs so it wasn't really a problem. Staff were helpful and overall we had a pleasant stay. This is an awesome deal! I can't believe how little they charge for this spacious hotel in the middle of the city! Room was very comfortable. the staff was friendly and helpful. The breakfast was sumptuous. WiFi works great. I don't know what else one would ask for. Qelqatani is located just about 5mins' walk from city centre. We did not have problem finding food with the numerous restaurants nearby behind the hotel. Staff were polite and extremely helpful. Although most shops were closing at the time we checked-in (around 7pm), the front desk staff was still able to find a laundry service for our dirty jackets and jeans that can finish overnight and deliver back early the next morning just in time for our day tour departure. Breakfast was normal but adequate. Room was clean and the king bed was comfortable. It is definitely value for money. 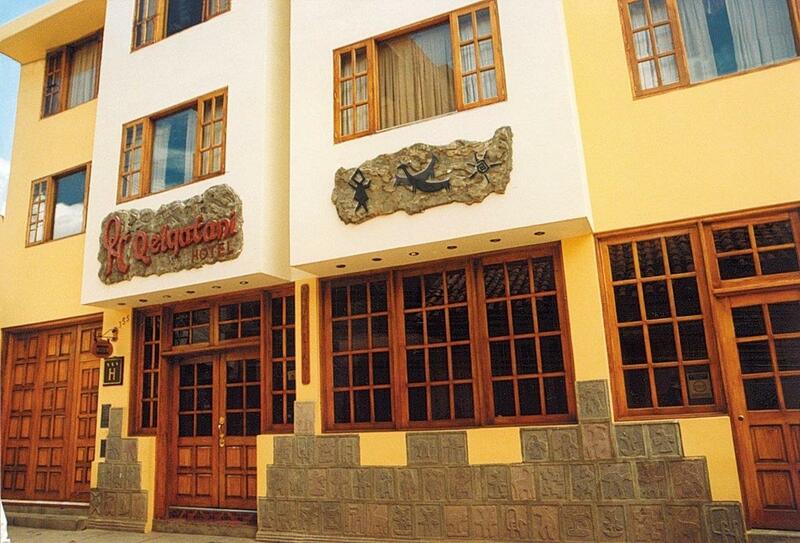 Qelqatani is one of the many small three-star hotels in Puno. The rooms are adequate but nothing special, and so is breakfast. I found the staff very helpful for booking a bus trip, and they went out of their way to may sure that I'll eventually get shipped to the right bus station. Due to the low rate I got, value for money was great. 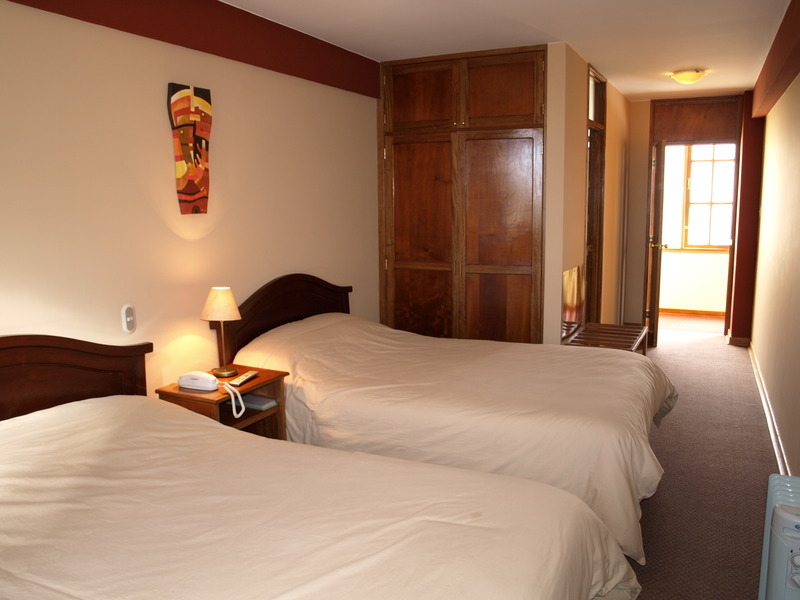 This hotel is located right in the center of Puno. I booked a room for just 28 dollars which was an incredibly good value. The staff in this hotel was very friendly and helpful. 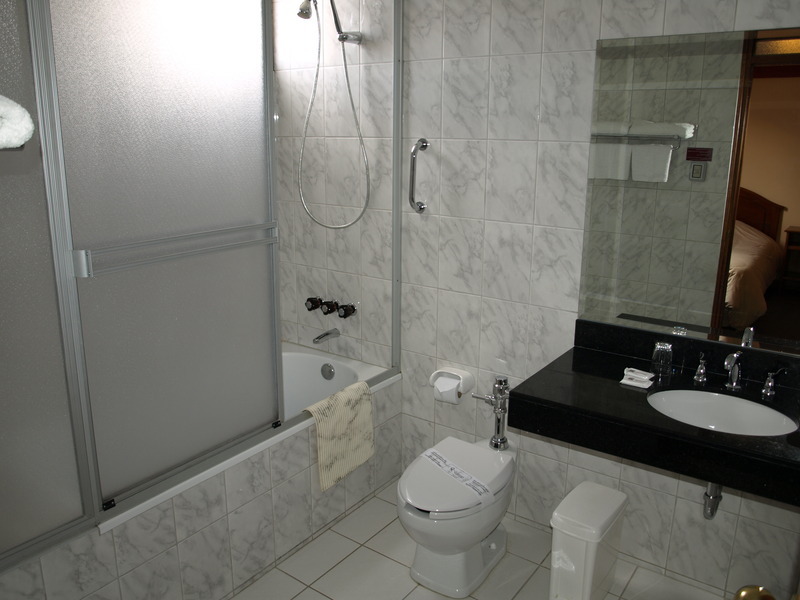 I also enjoyed that my room had a bathtub because a hot bath is very appealing in the cold Andes. one block away from Lima st where you can find numerous restaurants, very convenient. Staff are super friendly. Beds are generally comfortable. Breakfast is good. It's really worth a lot more than the price I paid.